Here are some of the best free online gallery websites for displaying artworks online. Use them to post and display drawings, paintings, sculptures, photographs, collages, and anything else art related. Most allow you to network with other artists, create a portfolio right on the site, and sell your artwork through an online checkout. I may expand on the list later. If anyone has any suggestions for additions, please let me know in the comments section. Redbubble is a great place for artists to feature their artworks and get feedback. They have lots of groups where one can network with other artists from all walks of life, and post images there for all to see. Through the site, artists can use create framed prints, canvases, posters, calendars, stickers, t-shirts, and cards from artworks. Artists can set any price, and still hold the copyright. If you prefer to not sell artwork here, Redbubble is still a great place to network with other artists. At Etsy, artists can list and sell artworks and converse with art buyers and sellers. Each member gets their own page, to display and sell art right from the site. Etsy has a thriving community of artists and craftspeople, and has forums, online labs, teams, and events. Imagekind is great for networking and building contacts too, with a forum and lots of groups. They allow artists to sell high quality giclee prints of artworks, even including framing, and members can set any percentage mark-up they wish. With over 50,000 members already, Imagekind is certainly a worthy community to expose your artwork. Members can post artworks, comment on other profiles, and post links to your art website or blog. Prints and other items based on your creations can be sold on the site. 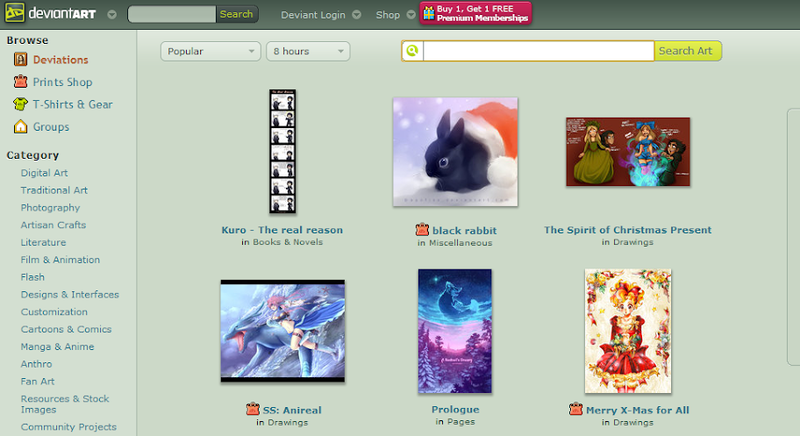 DeviantArt boasts over 19 million members, it is the largest artist social network. At Artwanted, artists have the option of uploading artworks to their own personal online gallery. Other members can leave feedback on individual pieces. Members can even sell art directly on the site, but Artwanted takes a 15% commission. 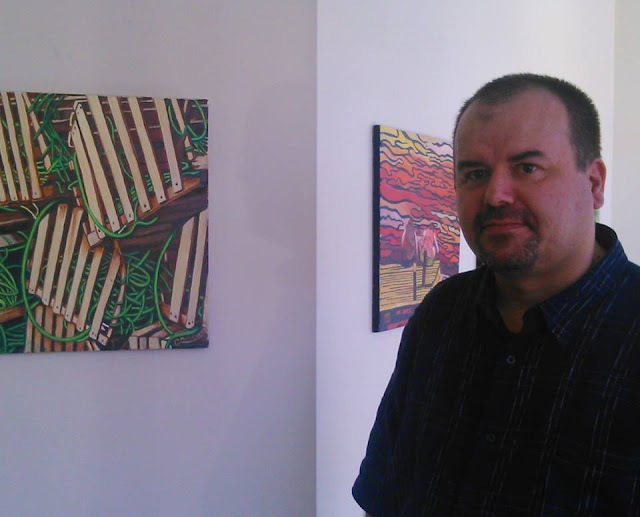 Artpickle is a very good community for artists! Members get their own website with domain name, blog, along with a space to post photos of art. Artists can keep up to date with art shows and festivals, openings, etc., and can even advertise their own. Although art cannot be sold directly on the site, Artpickle is highly recommended just for the contacts you will receive! After joining Artmajeur, one receives an online art gallery of their own, where they can upload photos. Images can be modified and sold on the site. or though contact with buyers. Has over 51,700 members onboard! At Fine Art America, they handle the sales, promotion, design of your online gallery, and ordering from art buyers. Images can be converted to framed canvas prints, greeting cards, and more, and set to sell at one’s own prices. The profile page has space for photos, biography, events, blog, contact info., and more. They have a very active community with lots of groups. 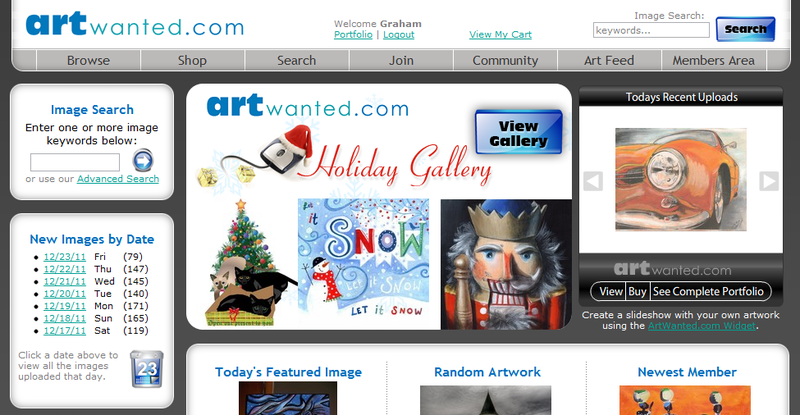 Fine Art America has over 84,000 artists and is well worth joining! Have your artworks on Zhibit, and promote and sell them through the site. Artists can choose to participate in community events and art competitions. Zhibit galleries are very easy to setup, and free – without ads or banners! They also have automatic watermarking, and lots of storage for your images. Members can use their own domain name through services such as Godaddy. d’Art is a place for artists and art dealers to meet. They have a huge forum and directory, in which members can participate. Members can post their art, set a price, and sell it though the online shopping cart. All these sites are very worthy sites of joining in your art promotion regime, if only to interact with other artists and buyers, and to attract visitors to your artist profile, blog, or website. Suggestions are welcome for additions for this list. I do know of some other art gallery sites, but I wanted to narrow the list down to 10 for this post. Please kindly leave a comment below. Why do I Paint This Way?